The former Penn State quarterback was waived by the Raiders in June after spending two years with the New York Jets. The Eagles waived/injured Ian Park to make room on their 90-man roster. Hackenberg isn’t likely to compete for one of the Eagles’ top three roster spots, but he could supplant Joe Callahan as the fourth-stringer. Callahan looked shaky in Thursday’s preseason opener against the Steelers. Hackenberg, a second-round draft pick in 2016, has practice squad eligibility. The 23-year-old was once considered a promising NFL prospect, but after an impressive freshman season in State College under head coach Bill O’Brien, Hackenberg’s star began to fall. 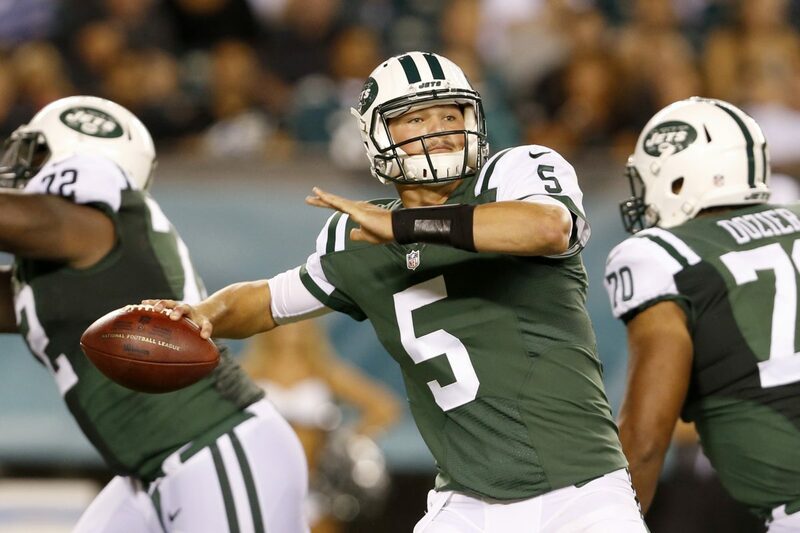 Blessed with size and a strong arm, Hackenberg began to struggle with accuracy. He left Penn State after his junior year and the Jets gambled on him in the second round. He was unable to move higher than second on the depth chart and ended up being active for only one NFL game in two years. The Raiders traded for him in May, but the deal was negated a few weeks later after he was released.